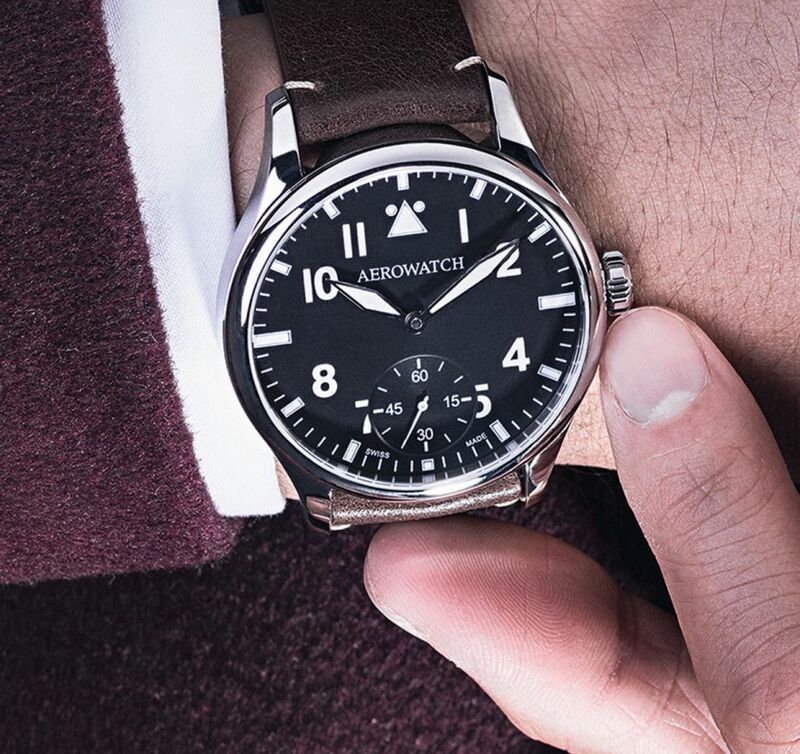 The case, in stainless steel, measures 43mm. 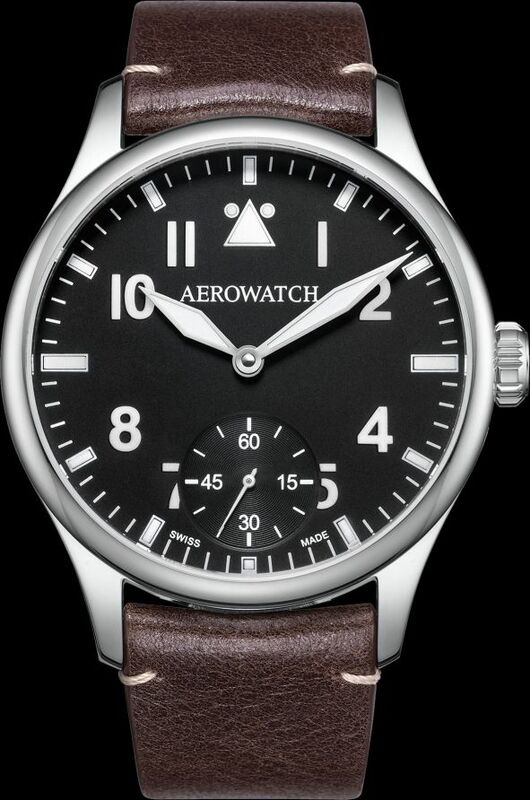 It has a domed sapphire crystal and it is water resistant to 50 meters. Movement is the Swiss manual-wind ETA caliber UNITAS 6498-1 with 17 jewels, 18,000 vph and a power reserve of 46 hours. Functions are: hours, minutes, and small seconds at 6 o'clock. 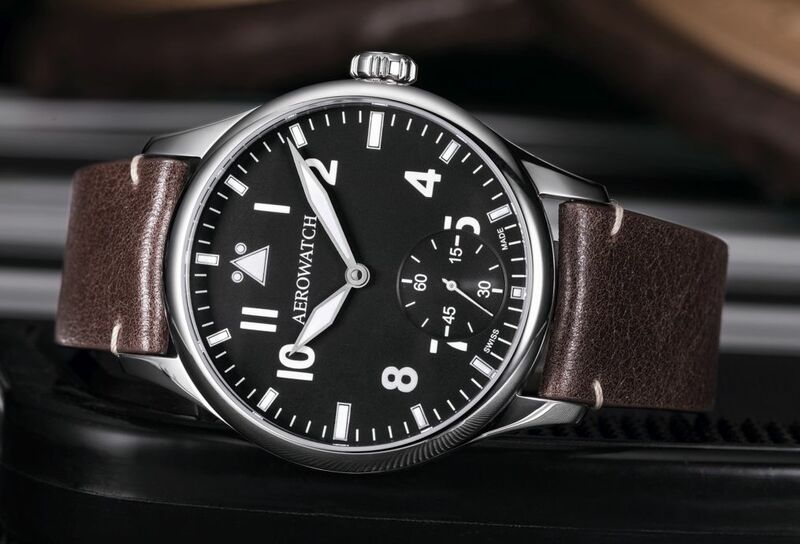 It has a Flieger-style matte black dial with Luminova Arabic numerals and nickel-plated hands with Luminova. 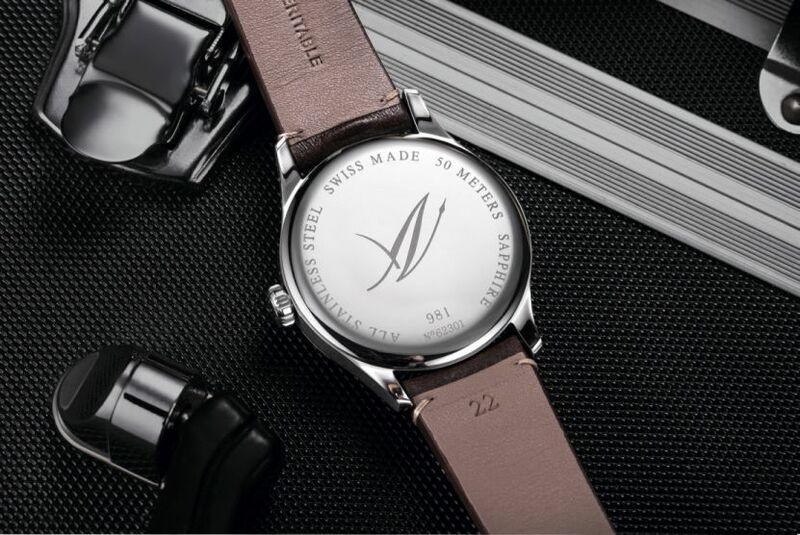 It comes on a 22mm vintage brown calf leather strap with a steel folding clasp.